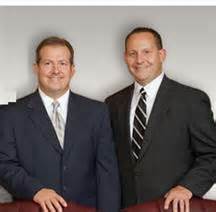 The Johnson Law Firm, LLC, is based in the St. Charles, Missouri, area. Our areas of practice include personal injury, criminal and traffic defense, divorce and family law, real estate, and business and corporate law. If you are searching for an attorney to help you resolve a legal matter, your choice of attorney matters. Make sure the law firm you select will be able to meet your needs and help you reach your goals. 220 Salt Lick Rd, Saint Peters, MO 63376 Saale & Bailey, L.C.